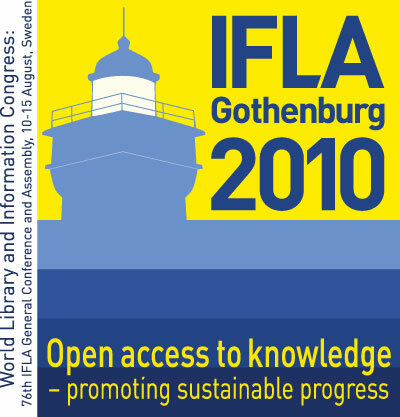 During the 76th IFLA Conference “Open access to knowledge – promoting sustainable progress” between 10-15 August, the National Library of Sweden (KB) initiated a satellite meeting on the 9th of August in cooperation with the libraries of the universities of Gothenburg, Uppsala, Lund and Malmö under the headline “Open Access and the Changing Role of Libraries”. The aim was to address questions relating to Open Access and its effect on academic libraries. Increasingly libraries are involved in supporting the creation and dissemination of scientific and scholarly information, which for example requires that new competencies become strengthened within libraries, and that technical platforms for publishing and archiving will be developed. Full presentations in English can be found here.